“Dorothy” is the oldest sailing vessel in the Pacific Northwest and also said to be the oldest vessel in Canada that has been in continuous use. She is a 30ft Gaff cutter (sloop) built in the James Bay Boatyard, Victoria BC, in 1897. She is British Columbia’s living West Coast heritage, built when most boats were either coastal work boats or dugout canoes - a vintage vessel built at the same time as the Victoria BC parliament buildings and shortly after BC was even part of Canada, and is a strong part of our Maritime history. Designed by Linton Hope in 1894, a naval architect in England, who also was a skillful sailor and winner of an Olympic gold medal for sailing in the 1900 French Games. Her building commission was by F.H. Langely in 1896 who was a prominent lawyer and member of the Legislature. 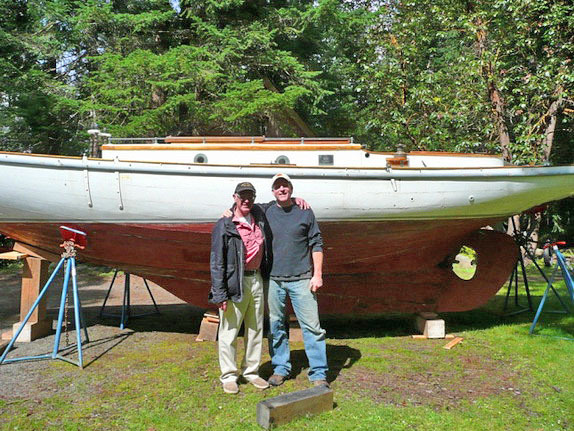 The builder was JJ Roberson an accomplished boatbuilder in Victoria, who built her to Lloyd’s approved standards, for around $1800. Her design was very common for that period with one of her striking features being a 6ft overhanging fantail, that no doubt at the time influenced similar designs of yachts being built around the BC waterfront. As a sailboat, previous owners have said she is a fantastic sail, that responds quickly with a feather weight helm and can cut tight to the wind. 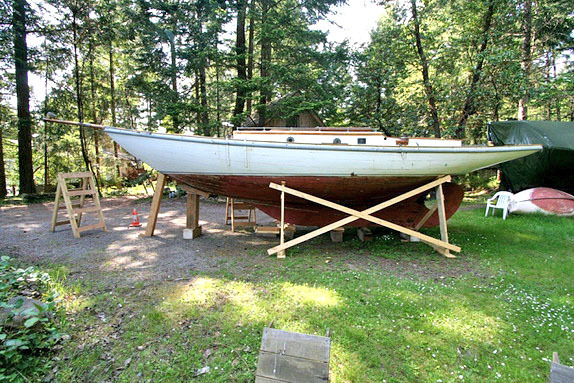 Dorothy’s sizes and build: LOA 30ft, LWL 24.3ft, Beam 8ft, Draft 3.5ft, Displacement 5.86gross tones, she is carvel planked over oak frames with copper rove a rivet. She was originally not built with a motor, but in 1920 was fitted with a 1cyl Kermath engine, and today has a 10 horse Yanmar. Over the many years Dorothy has had many owners, repairs and restorations, some good and some bad, she has won sail races, had a few name changes and luckily lived through a few fires. In 1991 she was professionally and extensively restored by Hugh Campbell for Kim Pullen. 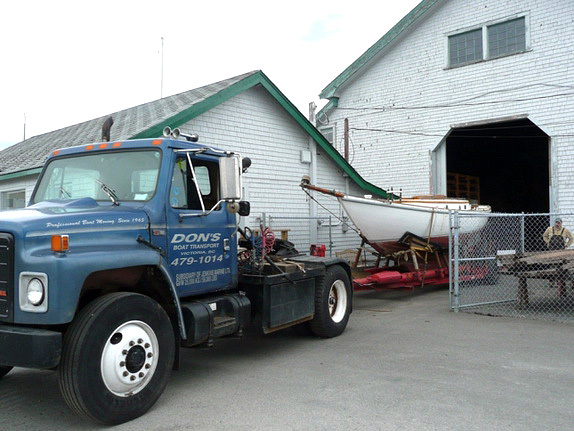 Shortly after the BC Maritime Museum, located in Victoria BC, acquired Dorothy to be part of their collection that represents BC and Victoria’s maritime history from the turn of the century. The Museum has kept her in stasis for about nine years, where she was kept dry but unfortunately out of the public eye, which they are now working to change. Along with general old age, some time before the Museum had her there had been a few bad repairs, like the use of dissimilar metals, which are now causing problems and wood decay. Dorothy has now been moved to my work shop to be restored, with the plan to look at some historical restorations and primarily to get her back in the water. 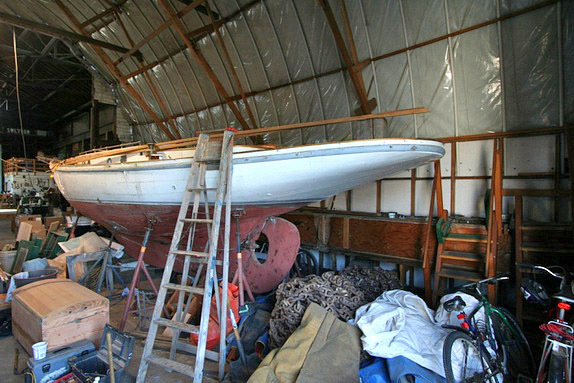 Dorothy in the SALTS boat shop, in storage for the last few years. 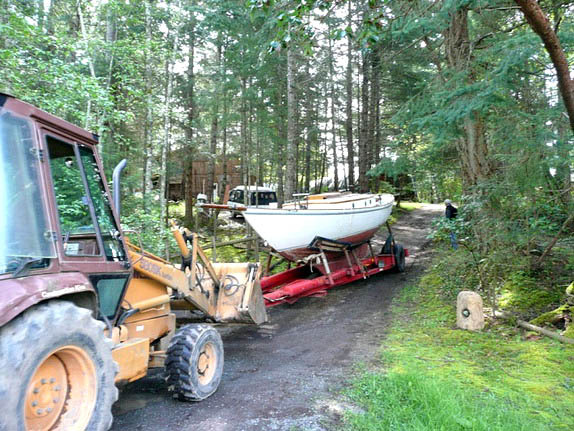 Dorothy departing storage, next stop repairs and then the water. 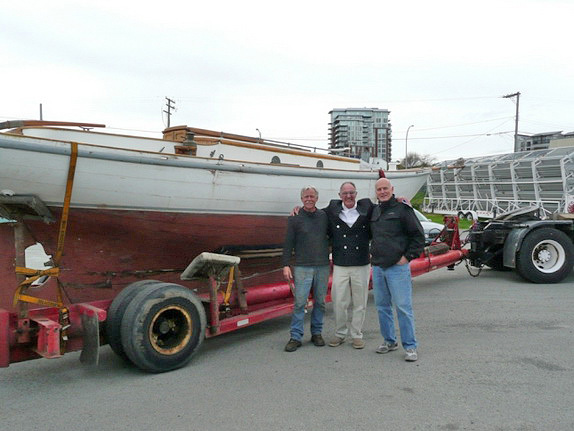 John and Eric on the right working for the BC Maritime Museum to make this restoration happen. 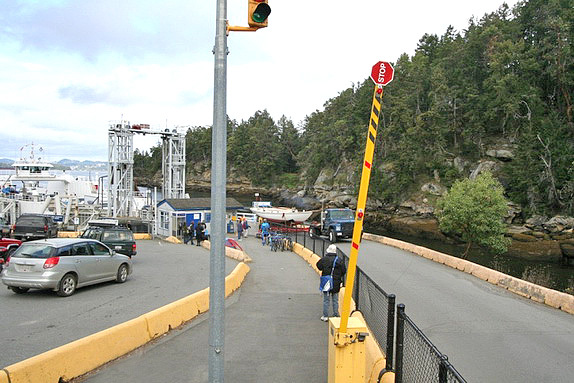 Driving off the ferry onto Gabriola Island, were she will be for the next stage. Needing a little help up my driveway, thanks to Gordy’s backhoe. John and I posing in front of Dorothy. Dorothy at my shop work yard, look at that beautiful fan tail, indicative of that 1897 area, also its hard to believe she is that old. Next is to build a lit shed roof over her.